The Night Elves up until now have been a selfless race. The druids dedicated themselves to the Green Dragon Flight and the Emerald dream, while everyone else dedicated themselves to protecting the natural world around them while the druids are away. The last priority of the Night Elves was themselves. But now they’ve lost their immortality, and in the wake of that loss we’ve got Fandral Staghelm splintering off with his Darnassian Night Elves and regrowing the world tree. They already knew this would be in vain; they didn’t care, so they grew it anyway. And now nature itself has been thrown off-balance by their actions. This is flat out heresy for a Night Elf. To throw nature off-balance literally goes against everything they are. The only thing worse would be for them to be delving into the arcane. And while the Darnassians are trying to fix the problem, they still are the ones who caused it in the first place through their own selflish greed. But… not far away… you have the rest of the Night Elves. The ones who still follow Malfurion’s teachings and recognized “regrowing the world tree” as a selfish act. These are the Night Elves of Moonglade. They might seem set for war, but the fact of the matter is this, Malfurion is gone. And, officially speaking, Fandral Staghelm, as Arch Druid, is leader of both Darnassus and Moonglade. Although when you look closer, Fandral’s hold on Moonglade is in name only. Anyone who does quests there, especially Druids, knows that Remulos, son of Cenarius, is who calls the shots in Moonglade. All the Tauren in Moonglade is the other tip off of Fandral’s weak grip there (Fandral was vehemently opposed to the Tauren joining the Cenarion Circle). So, still, why aren’t they fighting? Why doesn’t Remulos say, “Enough!” and let the Darnassians have it for the abominations they are? Obviously this is theory craft, but lets take a look through the eyes of the key players. For Remulos, Malfurion is gone, but likely returning. Remulos is smart; he knows it behooves him to wait until the true leader of the druids returns before starting a druidic civil war. Moonglade wouldn’t be as tough if it weren’t for the fact that right before Malfurion departed, the Tauren arrived. It’s interesting to wonder then what the situation looked like through Malfurion’s eyes right before he left. Malfurion knew he’d be gone for a long time, and he knew that in his absence Fandral would take over as Arch Druid with the Darnassians. Moonglade would be vulnerable, possibly outnumbered… unless of course Malfurion turned to his new Tauren apprentice Hamuul and (with Remulos’s full support) asked Hamuul to bring his Tauren druids to Moonglade in order to bolster their forces. So there you go. At this point it simply doesn’t behoove either Fandral or Remulos to start something. What the situation needs is a catalyst, but what could that be? 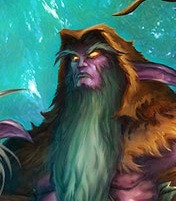 Malfurion returning could do it. The Horde and the Alliance going to war for their own separate reasons could do it. It’s interesting to consider in what we discussed that Moonglade might actually be closer tied with the Horde than with the Alliance. Moonglade’s connection with the Horde is the Tauren, and Hamuul is beloved within the Circle. Their connection with the Alliance, however, is Fandral and the Darnassians, which is… well… duh. When World of Warcraft 2 does someday come out (and it undoubtedly will), the landscape will change. The world will again be at war, and it seems the seeds are firmly planted for an inevitable confrontation between Moonglade and the Darnassians. Hey! Great site I was waiting for a place like this to comment lore. On your post, I do believe the elves are in a difficult situation since they major leaders are not in this physical world and things are getting worse now that the blood elves (and the magic they consume) are in the scene, let’s not forget NE and BE where the same people until the war of the ancients when NE decided to stop consuming magic while BE denied this idea. We will just have to wait until blizzard release emerald dream (hopefully) and see what are the implication of this. While I do agree that it will snowball out, we have to take into account the other major players, such as the Forsaken. We know they are up to something, so I wouldn’t necessarily count them in to whatever the horde goes to war with, unless it serves their purpose. There is one faction that I feel your theorycraft forgets to take into account, which is usually the way it is when the politicians fight. Religion. In the case of the night elves, this is embodied by Tyrande Whisperwind and the Temple of the Moon. Staghelm has to know that, if something were to start, Tyrande and most of the priesthood would most likely side with Malfurion and the Cenarion Circle. That would leave him with a very tenuous hold on Darnassus, if he even had one at all. Cristian and Erik, I agree with you that we need to take a look at the other races. My plan is to take a look at each race separately then finish off by discussing the factions as a whole. Dangablad, good call on Tyrande, I should have mentioned her. I agree, as a priest Tyrande is staying in Darnassus as a counter to Fandral. If Metzen and crew wanted to keep things mellow then yes, the coup you describe is definitely a possibility. Personally though, I think the story is at a point where we’re ramping up for war again. The Horde and Alliance are cleaving through so much content, I think the next “shift” will be for them to not have anything left to fight but each other (for awhile). I also don’t see Malfurion and Tyrande wanting Darnassus. It’s the false world tree, and to them an abomination. If the tree were placed in their control I could easily see them sinking it into the sea. Remember Nordrassil is still alive, just burned. Heck, I’m going to give Tyrande her own post.